Willingale Sports & Social Club (WSSC) was formed following the closure of the village pubs in Willingale. In 2003 a group of 4 people (Barry Freeman, Brian Patient, Iain Ballantyne & Ian Kerwin), who were involved with the Village Hall Committee (VHC), set up a sub committee to investigate the possibility of opening a bar for limited periods in the Cleminson Room of the Village Hall & offer sporting and recreational games in the main hall. They set about understanding what was required to get a licence to sell alcohol and all other necessary components. After many enquiries & meetings, it was proposed that the formation of a ‘private members club’, would meet all of the requirements and the team (who had now been joined by Rod Hancock & Dave Gordon) began formulating plans to start the Club. For various reasons it was concluded by the VHC that the WSSC should be a separate entity and operate as a hall hirer, rather than as part of the VHC as this proved to be a strategically sound decision from both points of view. The starting of the Club required significant financial investment and this was funded privately by the team themselves with the principle investment being the building of the cellar to house the stock and the mechanics of the draught beer and lager supply. 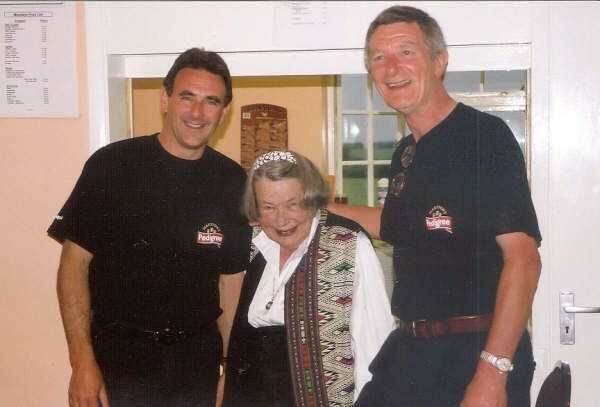 The club finally opened on Friday 27th June 2003 and the launch event was extremely well attended and the late Mrs Cleminson cut the ribbon. Since then we have functioned very successfully as a private members club with several enhancements & refurbishments significantly altering the appearance of the bar area over the years. Originally we served through a small hatch which was then replaced by a larger bar opening providing an improved experience for our bar volunteers and members. In 2015 we also benefitted from the major development of the Cleminson room which saw it double in size as well as creating a separate kitchen area. This development also provided us with an inbuilt cellar replacing the old one which served us well for many years. WSSC is totally reliant on volunteers to run and staff the bar in addition to planning, organising and supporting a wide variety of events. We are very inexpensive to join with subsidised drink pricing. We are open every Friday 7pm – 11pm & Sunday 2pm – 4pm and run subsidised events at least once a month. Previous events are too many to list but include tribute acts for ABBA, The Beatles and Take Take (to name but a few), Oktoberfest, Summer Beach Party, Children’s Christmas Party and our hugely popular annual Rounders & BBQ. The club is now in it’s 16th year and continues to go from strength to strength. The committee, past & present, take great pride in the creation of a friendly and welcoming environment in the club as well as enjoying wonderful relationships with other village organisations within Willingale.